If you have locked the pattern of your phone, and forget what the lock was? It would be breathtaking for you. Because you would have saved the data in your phone storage and to lose all the data is not a good idea. Most of the people think that to install a new Operating system is the only solution we have, in case of pattern lock of the phone. But, today, we are presenting a very wonderful application to you, which will allow you to remove the pattern lock without of losing any of the data saved in the phone. So, simply download the given download pattern lock remover tool from the description. And install it on your computer to unlock the phone within a minute of the time. 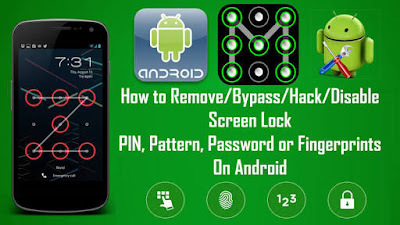 This pattern lock remover will work fine only for the Windows computer, if you have any other operating system, you should find any other way of removing the pattern lock of the phone. This pattern lock remover tool has a very good algorithm, you just download the tool install it on your personal computer. While installing it, you would get some pops up about the security of the system and use of this application. You just follow the protocols and install this, if your Antivirus working very fast, you should disable this for some minutes, this is not a malicious thing, but some antivirus think it as a malicious object and try to block the stuff, so, turn off the security system for some time, and install this pattern lock remover. Now, gather a USB data cable, connect your computer with the data cable and one side with the phone, whom pattern you are going to unlock. 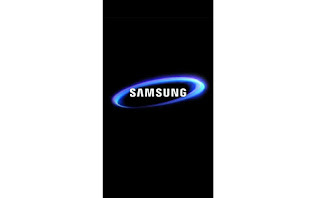 Now, when you will connect the phone with the computer, there will be some installation of some drivers, allow that installation and bear with the Application and tool for some moments. Now, when the Windows of pattern lock remover will be opened, you will see your mobile phone has been connected to the computer, now, click the button of pattern lock. It will start working, gathering data and within some moments you will see the pattern lock has been removed. Now, you can use your phone without of any risk of losing data, the tool which you are about to download will work for every Android phone and version of the operating system. Moreover, this tool does not have any compatibility issue with any other Windows operating system and version, you simply install without of any hurdle. This pattern lock remover has no issue with any Android version of the phone; it will work smoothly from the Gingerbread to Marshmallow Android versions. The most used and top-rated pattern lock removing tool, you would love to use this tool. You are free to download this tool and have no need to pay any amount to the developers for using the services of the tool. We already have updated the link to the latest version; you can download it from the link below, tap the download button below and get the setup file. If the link below is not working or showing some kind of errors, you should comment down in the section, so that our team can fix the problem as soon as the possible, and do not forget to share the post with your friends.